Diesel is a chocolate fawn (triple carrier) that carries tri and has the ability to produce blue and lilac. Diesel has it all! 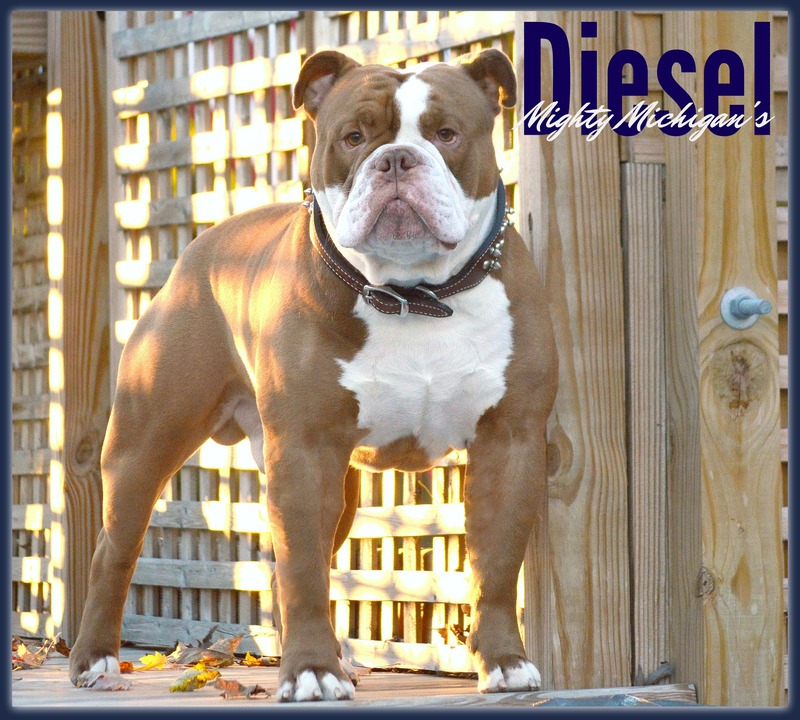 He is a Mighty Michigan production from our Karma and Spartacus litter (Oct. 2013) and possesses the best qualities from both resulting in him to EXCEED his sire, Spartacus. Diesel is a powerhouse with his muscle mass, bone, and structure. His loving and loyal personality is superb. He has nine champions tucked back in his pedigree on his momma’s side. We couldn’t ask for a better representation of an Olde. He is extremely special to us! Diesel has produced some Mighty litters for us, and we look forward to the endless possibilities that Diesel will offer!